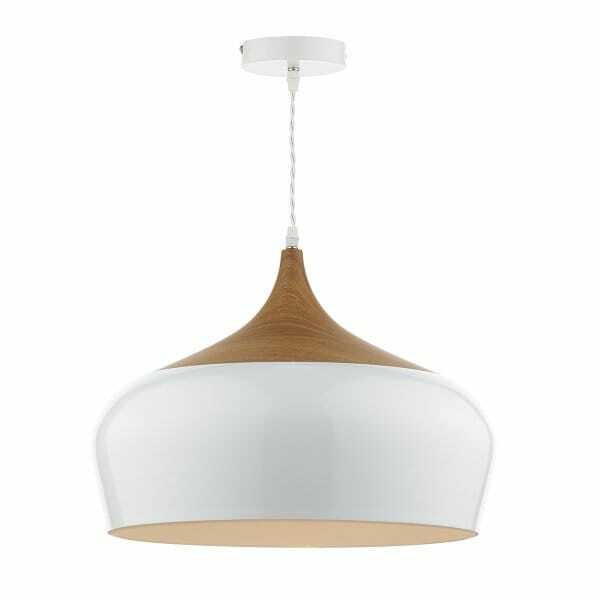 This modern ceiling pendant comes in a white finish and has a wooden top section which would look great in any contemporary or more rustic setting. The light is double insulated to allow for safe use without the need of an earth wire and is height adjustable at the point of installation to allow for a drop of up to 140 centimetres. This would be an ideal choice for lighting over kitchen islands or dining rooms tables. It's also suitable for use on a dimmer switch providing the bulb used is also dimmable.